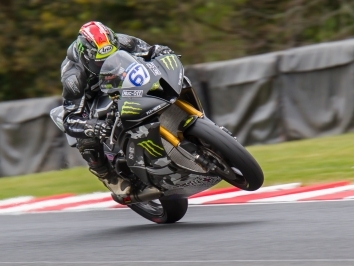 Jake Archer stretched his advantage in the HEL Performance British Motostar championship with two tight wins at Knockhill this weekend. 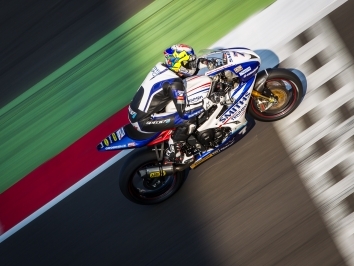 The Hampshire rider put his City Lifting by RS Racing machine on the top step of the podium with victories over runners-up Jack Scott and Storm Stacey, the latter of whom was just a few tenths off his maiden win in the class. 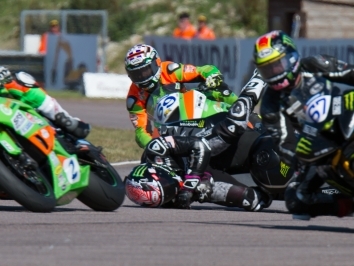 Archer strengthened his grip on the championship lead after grabbing the holeshot from pole position in Saturday’s race one, leading team-mate Jack Scott, Eugene McManus and Storm Stacey as the race got underway. The four maintained a tight battle through the entire race, and while it looked like Archer could run away early on, his compatriot Scott snatched the lead with two laps to go. But the 2017 Motostar runner-up got a better drive out of Taylor’s Hairpin and beat Scott in the drag race to the line by just 0.055s, while FPW Racing’s Stacey, who smashed the existing lap record by nearly a second with a 51.993, bagged third place nearly two seconds further back. 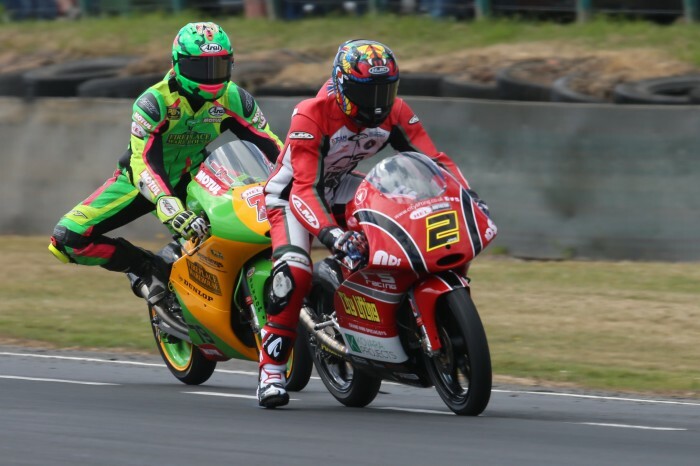 In race two on Sunday, Stacey lined up on pole and took advantage as he grabbed the lead ahead of team-mates Archer and Scott, with McManus right on their wheels. But Archer made a pass heading into Duffus Dip, and moments later McManus followed him through as he sliced past Scott and Stacey for second. Just a few laps later, Northern Ireland’s McManus hit the front, but his lead was short lived after he lost the front at McIntyre’s and put paid to his hopes for victory. Stacey, Archer and Scott continued to break away from the field and began to run into backmarkers, but Scott followed McManus into the early exit club after a spill that left the two front-runners in a lone battle for the lead. And although Stacey hit the front a few times during the final few laps, he couldn’t hold on for a maiden win after lapped traffic gave Archer the edge and enough to win the drag race over the finish line. With Scott’s crash, Archer more than doubled his points lead, now sitting on 145 over Stacey’s 100 with Microlise Creswell Racing Mahindra rider Asher Durham, who bagged a lone third today, just behind on 87.